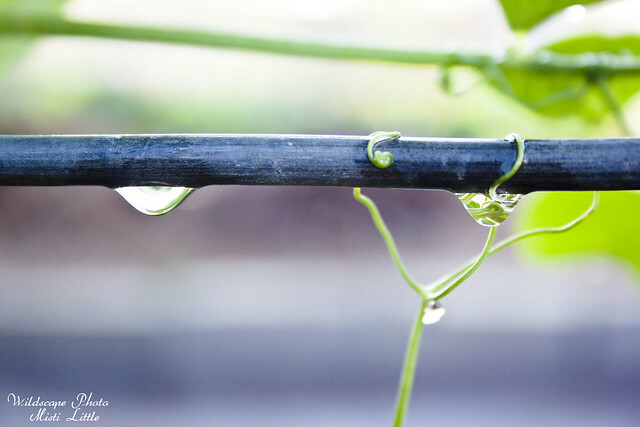 We had two, mostly straight, days of rain last weekend. During the breaks in the rain we spent a little time in the garden getting seeds in the ground and transplanting tomato seedlings. I took all of these last Sunday evening after the rain has finally stopped and the blue sky came out. 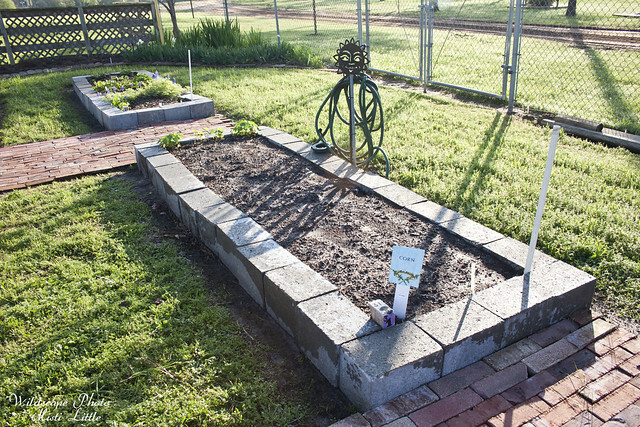 The photo above shows the sugar snap pea trellis but on this side of it will be some long beans. We planted salvia out front to entice the butterflies and hummingbirds. 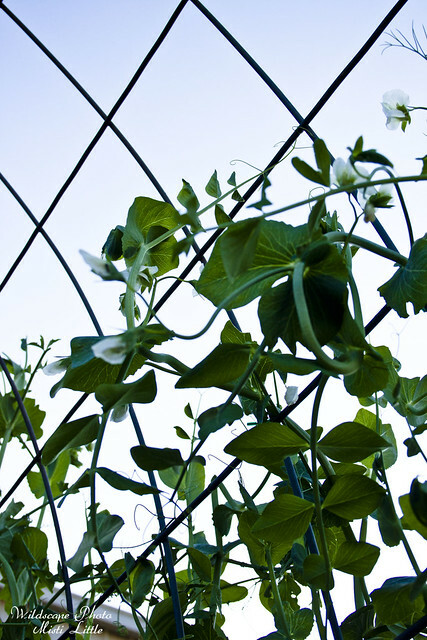 The sugar snap peas from below. 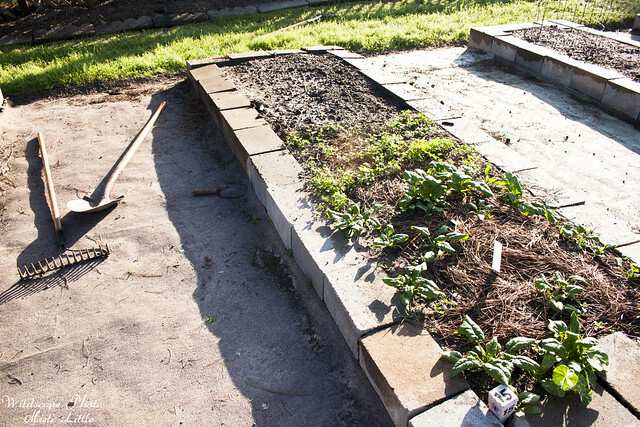 The front half of this plot is spinach and flat leaf parsley. Chris was able to start sweet basil seeds on the other half. 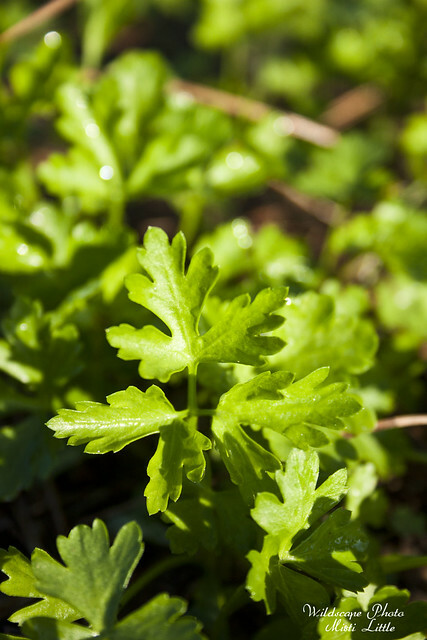 I am looking forward to the flat leaf parsley being used, drying it and tossing it in my meals fresh. Malabar spinach was known to me in Florida where several gardening ladies I knew through GardenWeb grew it in their gardens. I never had the chance to try it but when I saw it at our local nursery I decided to try some. I’m excited to be able to eat something leafy and green during the summer when the ‘regular’ greens will be finished. The onions have started bulking up. 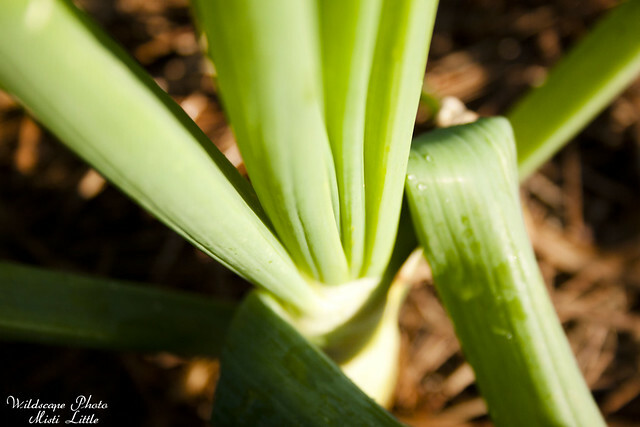 This is perhaps one of the crops I am most looking forward to harvesting in May. 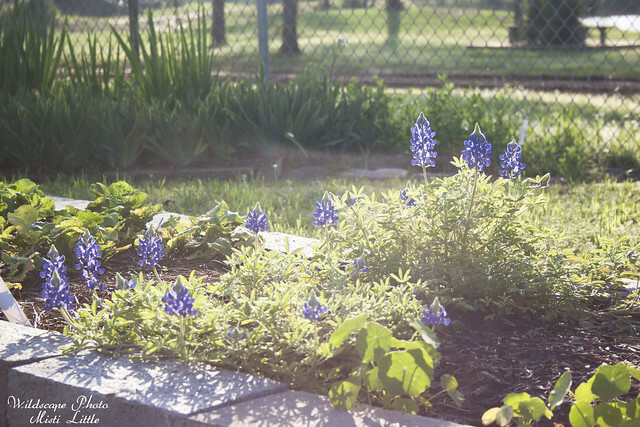 The bluebonnets are still prolifically blooming. Just a week ago this bed had kale in it. Aphids had taken over so badly, beyond organic pest control methods, so I ripped it out and in its place is silver queen corn. 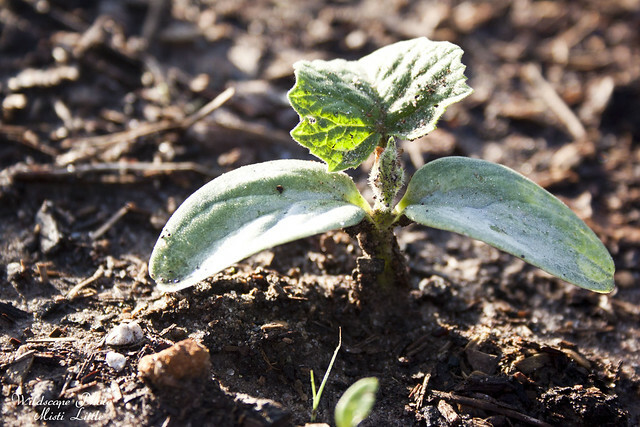 The cucumbers are getting their second leaves. 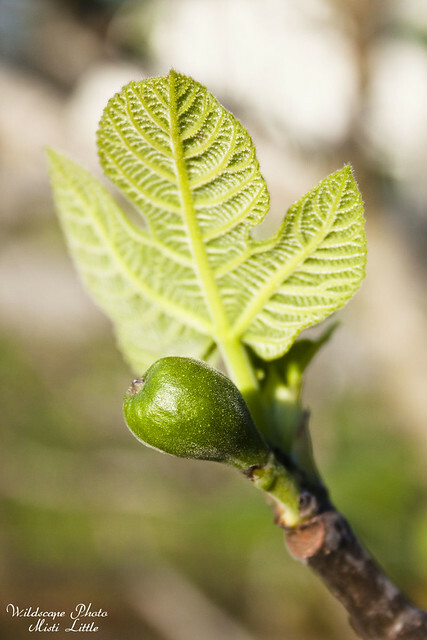 And the fig trees have started leafing out as well as putting on fruit! Things are changing by the day right now! looks amazing! and the trellis over the pathway is beautiful! We did New Zealand spinach last year and it was terrific, we’re adding malabar to the mix this year. It’d definitely so nice to have greens through the summer. Lovely! 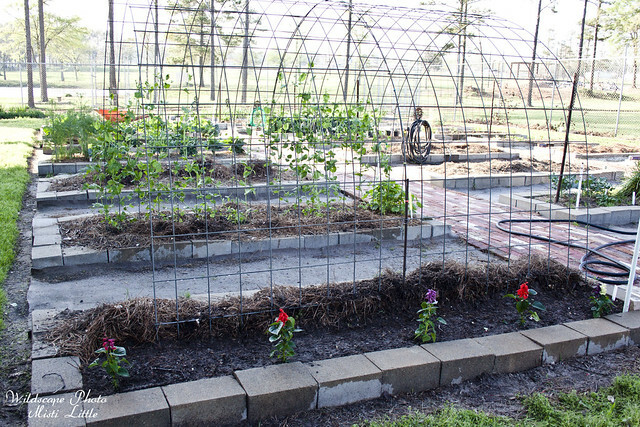 I really like your pea trellis, pretty and functional. We ate malabar this February in Florida, and loved it! It’s funny how I also discovered it in Florida. What do you have on the ground between the beds? Looking really good! 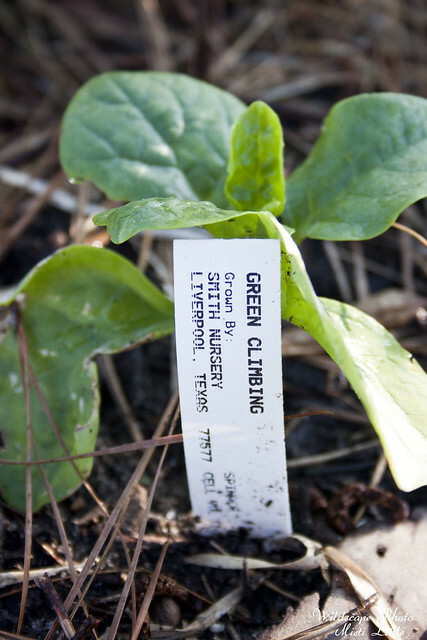 Climbing spinach!Interesting. Hey i sure would like to try a fig. Fresh! My Dad had a tree when I was little. He loved them!! !